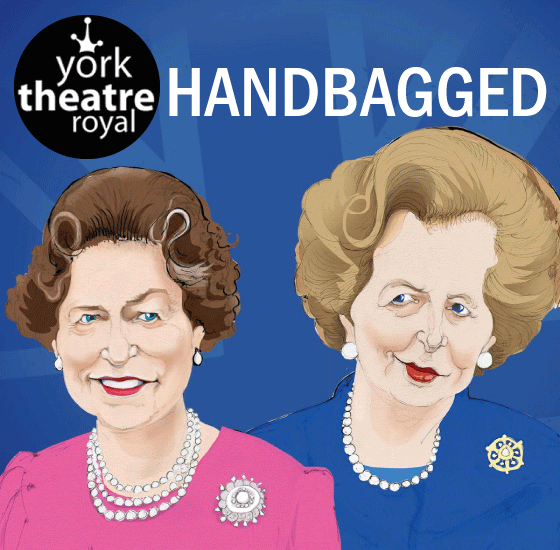 Handbagged imagines what may have happened at the Queen’s infamous weekly meetings with Margaret Thatcher. Entertainingly told and packed with satirical humour, the two women collide as they share their opposing views of Britain’s role in the world. With a supporting cast of Ronald and Nancy Reagan, Geoffrey Howe, Denis Thatcher and others, Handbaggedis funny, sharp and mischievous. Moira Buffini’s comedy became a huge West End hit and went on to be nominated for Best Comedy at the 2015 Olivier Awards. Starring Susan Penhaligon and Eve Matheson. Don't miss the post show discussion on Tuesday 30 April with the cast and creative team. Book your tickets from York Theatre Royal here.